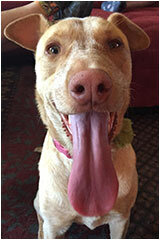 Meet Ruby, an adorable 2 year old Shar pei / Red Heeler mix. Ms Marcum loves to walk Downtown and meet people, especially those who give her treats. And if she decides to reward you with a lick, watch out! Built in circa 1908 by Felix and Lena Tomeo, this house is currently a part of the Louisville Historical Museum. The home was lived in, and then rented out by the Tomeo family until the 1940’s. After being used for storage, the home was sold to the city of Louisville in the 1980’s and subsequently turned into a portion of our Museum campus. Occasionally folks leave the Street Faire with drink tickets in their pockets. This year, you may want to. Introducing the DBA’s new Token Program. 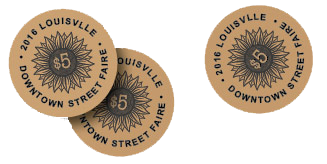 These tokens will get you adult beverages at the Faire, but you can also use them anytime for bargains at the following Downtown Merchants. See you Downtown! Want to high-step it to the Want to high-step it to the Street Faire with MarchFourth? If so, join us at the corner of Main and Pine at 6:15 on June 17 and we’ll accompany the band to the Steinbaugh. Dress up, have fun, but please stay out of the street until it is officially closed, and no alcohol allowed! Schedule: Main Street closure 6:15. Parade starts at 6:25. 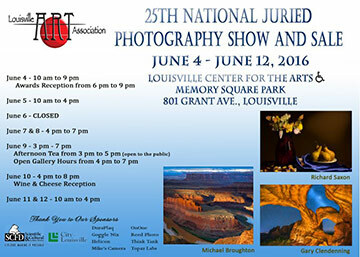 Louisville’s own Dona Laurita will be the judge for this prestigious show and has chosen 100 images from 750 entries to be on display and for sale. The selected work represents 20 states and the United Kingdom, as well as Colorado. The awards ceremony will take place June 4 from 6:00 – 9:00 pm. All activities are free and open to the public. This playful and artful jazz group features Annie Booth, piano, Josh D. Reed, trumpet, Heath Walton, sax, Patrick McDevitt, bass and Dru Heller on drums. For this concert, they will perform original music written by Heller, as well as music by Chick Corea, Herbie Hancock, and Kenny Wheeler. RSVP ONLY AND EARLY! 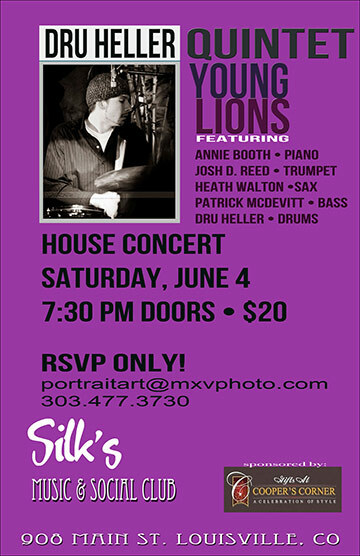 303.477.3730 or portraitart@mxvphoto.com. $20 suggested donation. 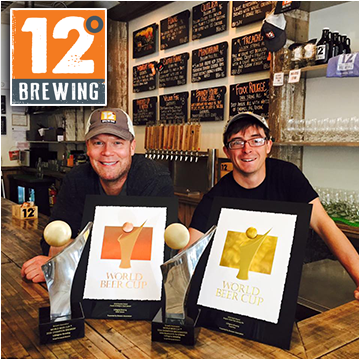 12 Degree Brewing has lots to celebrate with its third year anniversary and recent World Cup awards. They will have a super celebration on Saturday, June 18th. Party starts at noon so don’t miss the new beer releases and giveaways all day with live music from Paa Kow, the awesome West African band. Here’s another in the series of programs based on the theme of Louisville’s Larder, which features agriculture, restaurants, the history of Italian influence on the local food culture, and a look at a typical family’s kitchen, garden, and larder. The annual Summer Reading Program (SRP) is an event for the entire family. 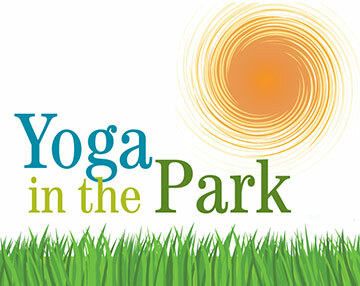 This year the focus is on exercising mind and body by reading and having outdoor fun. Registration is easy, all the programs are FREE, and there are many chances for children, teens, and adults to win prizes. You may register online or in the Library. Your SRP packet will be available in the Library. As part of the Summer Reading Program, you’ll hear from local author Steve Garufi about what it’s like to ride a bicycle cross-country. 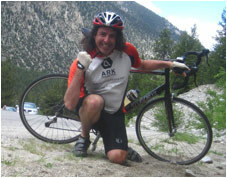 Steve has written about his travels in the book, “Under a Triumphant Sky: A Bike Across America Story.” A book signing will follow the program. Drop in during this open paint studio, and try your hand at painting in a casual and stress-free environment. Watch local artist Ian Cochrane as he works and get inspired for your own creations! Explore the story of the French in Louisville and the neighborhood of Frenchtown where many of the French lived. Any descendants from Louisville’s French families with memories of Frenchtown, are encouraged to attend and share your information and stories. Participants are welcome to bring their lunches. In keeping with the Museum’s exploration of Louisville’s French history this year, Diane Marino leads this tour of the historic Frenchtown neighborhood that is located in the vicinity of Rex and Parkview Streets, just north of Community Park. The tour leaves from the front of the Tri-City Elks Lodge, 525 Main Street. Suggested donation: $5 per person. Program presenter Larry Dorsey of the Superior Historical Commission tells the story of The Long Strike in the Northern Colorado Coal Fields from 1910 to 1914. Frustration, desperation, and strained relationships stirred in the cauldron of the strike, and boiled over in the shooting death of John “Dude” Searcy at the Superior Depot on November 28, 1911 – and the Superior town marshal being put on trial for Searcy’s murder.